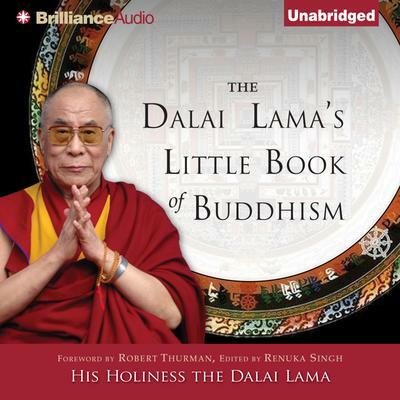 This little audiobook contains the core teaching on Buddhism by the Dalai Lama. It includes thought-provoking quotations about the importance of love and compassion, and the need for individual responsibility, fuses ancient wisdom with an awareness of the problems of everyday life. In addition to containing the essence of Buddhism, this audiobook offers practical wisdom for daily life. The goal of this small gift audiobook is to improve the listener's state of mind and to discover the deep peace that exists within. Here are pithy reflections on the need to rid oneself of preoccupations with mundane concerns and to find refuge in Buddha, Dharma, and Sangha.